Peep toe high heels have been creating waves among footwear of women from last some years. Over the periods of time, new fashion, elegant patterns and attractive colors have been launched in the online market. Peep toe heels with ankle strap that make them charmingly chic. Yellow peep toe heels, purple peep toe heels and silver peep toe heels make different styles. 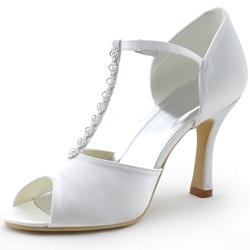 Peep toe heels for wedding is also a good choice for a big day. You can purchase these lower price shoes from shoespie. Don't waste your precious time, go online and start purchasing now!!! 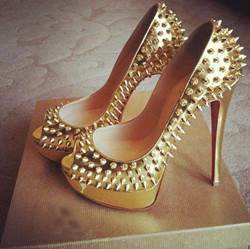 Best shoes ever!!! Great price, almost perfect fit, great color and THE most comfortable heels I've ever warn!! Wore them to a wedding and was in them for like 6 hours and didn't even notice the fact that I was in heels!! Jeeesssuuuusss I looovvveee them shoes, they are ammmaaaaazzziinnnggg. They fit perfect, they are soo comfortable, They're just beautiful. These shoes are a little taller than I'd normally buy, but the platform makes them easy to wear. Very comfortable. Very comfortable & stylish. I love the color' leather and height. Highly recommend. Oh my God I love it beautiful very comfortable for special occasions wedding, prom ect.... it's perfect for concert performance to stand an long hours.